We are very proud to announce that Netcetera came away on the night with a Highly Commended Award from this years EGR B2B awards in the Datacentre of the Year category. The EGR B2B Awards 2015 were held in London this week. Its a big night of the year or the egaming service providers and B2B operator’s industry. Now in it fifth year, it rewards and celebrates the very best service providers in the online gaming industry, recognising the achievements of suppliers from across all the major egaming disciplines including betting and gaming software, networks, mobile, payments, recruitment, IT & infrastructure. Microsoft ending support for Windows 2003 on 14th July 2015 – do you have an Action Plan? Microsoft are ending support for Windows Server 2003 on the 14th July 2015 – don’t worry, let Netcetera help you. As of the 14th July 2015 Microsoft will end Windows Server 2003 support. It’s time to act to avoid unnecessary risk and costs, and plan and execute your migration strategy. How can Netcetera assist you? Netcetera are a premium Datacentre with a wealth of experience. We help businesses of all sizes by hosting their Data and systems on our dedicated or cloud servers which are running the latest Windows operating systems, not only are these up to date but you get the peace of mind that comes with a quality Datacentre solution as well as lower running costs. Complete the following form and we will send you information on the next steps to start walking you through this transition. We are very proud to announce that Netcetera was one of the winners of the Energy Awards 2014, announced at the Isle of Man Energy Expo. There were three categories of award: Best Practice, Biggest Saving, and Most Innovative Project. Awards were given in each category for both public and private sector organisations. “The annual Energy Awards are an excellent opportunity for the Department of Economic Development to recognise the significant achievements by local businesses to reduce their energy consumption and energy bills. The winner this year from the private sector for the Best Practice award was Netcetera. This is an excellent example of a sustainable business that provides its clients with a 100% carbon neutral data centre. 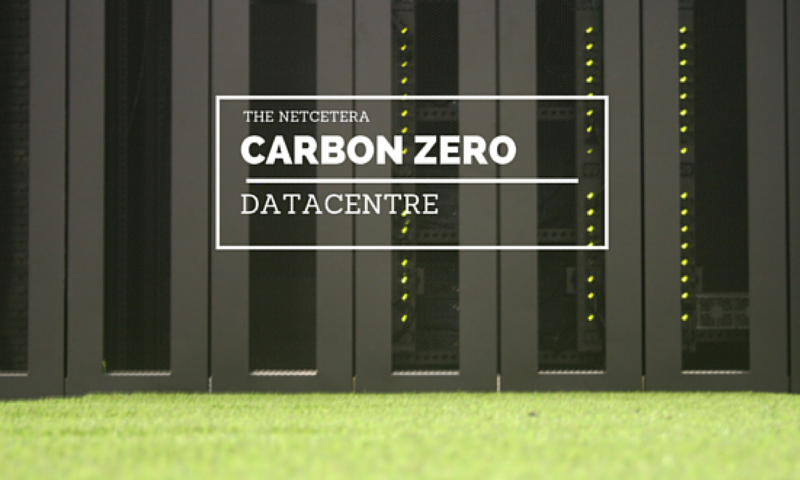 Netcetera is an entirely carbon neutral company, this covers their data centres, offices and all operations for all new and existing hosting solutions. Websites will also be carbon neutral, they will be presented with a distinctive carbon neutral logo to display the client’s green credentials. As the most comprehensive B2B gaming exhibition in the world, with more exhibitors from more countries meaning new companies, new people and new business opportunities.The event will see exhibitors attending from across the betting, bingo, casino, lottery, mobile, online and street gaming sectors, and is one of the most comprehensive B2B gaming exhibitions in the world. Innovation is at the heart of ICE with international developers using the event to launch their products and services onto the world stage. If you would like complementary passes to the show or would like to arrange a meeting in advance, please contact us. The passes to attend the event give exhibitors and visitors the opportunity to attend conference sessions, seminars, workshops, networking and hospitality events during the two days. Netcetera are very proud to announce that it has achieved ISO 14001 certification, the environmental management system standard. The certification is based upon an external validation of the company’s environmental performance with regard to the design, implementation and support of their hosting solutions in its Datacentre and office operations. The ISO14001 certification maps out a framework for setting up an effective environmental management system for organisations that want to improve resource efficiency, reduce waste and drive down costs. Certification to the standard requires companies to identify and control the environmental impacts of their activities, products and services. ISO14001 also requires companies to continually improve their environmental performance and implement a systematic approach to setting and achieving environmental targets and objective. We have a commitment to environmental stewardship and accountability, and we have worked very hard to achieve the ISO14001 certification. Our global client base can be assured that we are committed to help drive improvements in their environmental impact and in the technology solutions and services we recommend to them. A continuous cycle of planning, implementing, reviewing and improving the processes and actions that are performed to meet business and environmental goals, provide Netcetera’s clients and partners the assurance that environmental impact is being measured and improved. As a result of implementing this programme, we have developed a set of ambitious plans to lower our carbon emissions, which will be unveiled over the coming months – stay tunes! Netcetera are very proud to announce that they have been shortlisted for the 2013 eGR B2B Awards in the category “Datacentre of the Year”. The eGR B2B Awards is the egaming service providers and B2B operator’s industry event of the year. It is now in its fourth year, rewards and celebrates the very best service providers in the online gaming industry, recognising the achievements of suppliers from across all the major egaming disciplines including betting and gaming software, networks, mobile, payments, recruitment, IT & infrastructure. The exclusive event will take place on Thursday 6 June, at The Pavilion at the Tower of London. Netcetera was formed in 1996 and today is one of Europe’s leading Colocation service providers. Netcetera owns and operates The Dataport, – a state-of-the-art Tier 3+ Isle of Man Datacentre for the housing of all your IT infrastructure. As the most cost efficient Internet Hosting provider in the UK, Netcetera offers safety, security and 24/7 uptime through a newly developed multi-million pound world-class Data Centre facility with 700+ rack hosting capacity. The facility offers a comprehensive range of cost-effective and secure Internet Services. This data centre features an exceptionally highly specified Infrastructure which at it’s core incorporates N+1 Power, Generator and UPS. Redundant cooling and fire protection and suppression systems, specialised heat and smoke sensors, raised flooring, scalable power for future expansion, 24/7 technical support 365 days a year and unmatched levels of security.